In one of the remarkable milestones by HMSI (Honda Motorcycle & Scooter India, the company has crossed over 20 million customers in India. The domestic market of India has been vital for this milestone. Honda, the Japanese auto-maker has been one of the very fastest growing 2 wheeler maker in the Indian market, since its launch here back in the year 2001. This exceptional growth of the company is mainly due to Honda 110cc gearless scooter Activa ( Read: Why is Honda Activa so popular in India? ) and also because of good sales of Honda 125cc commuter CB Shine. Because of these bikes, the company is able to position itself as the leaders in their respective segments when it comes to 2 wheeler sales in India. 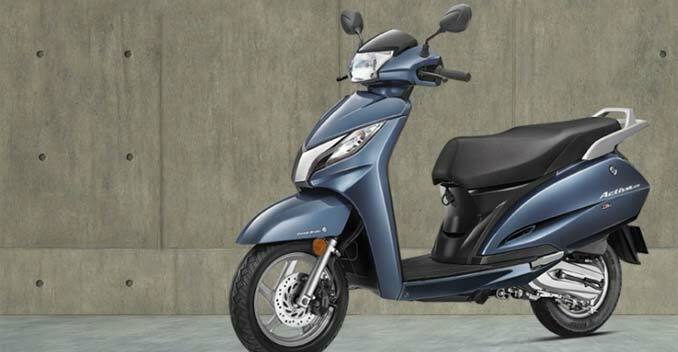 As of now, Honda – the company is a market leader across the automatic scooter segments ( self-started gearless bikes ) in India, thanks to Honda Activa range, Honda Dio and Honda Aviator. The Honda Activa sub brand has been a great driving Force for Honda to attract 20 million customers across India over the time. Speaking on the success achieved by HMSI, The President and CEO Mr Keita Muramatsu, said, “We are deeply thrilled and humbled by the faith and trust put by customers on our line of products. It is an incredible thing to have 20 million happy customers across the country, we have worked hard to achieve higher benchmarks in customer satisfaction. We thank all our valued Honda customers, business partners, associates, and all my colleagues at Honda for this remarkable feat. We would continue our journey to bring more and more million smiles on our customers by introducing more advanced products and services across all segments in two wheeler market”.